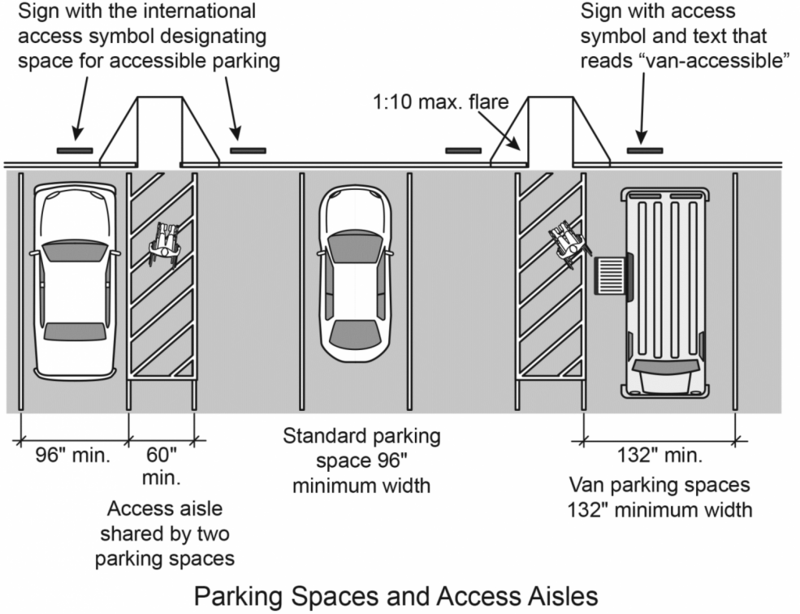 10 Things Parking Lots Must do to Comply with Handicapped Parking. WHAT ARE THE RULES FOR HANDICAPPED PARKING? Planning a new parking lot or restriping an old one in Central Florida, it is essential that you have a licensed expert in the field help design and stripe the lot properly to conform to all Florida Statutes. One of the most monitored, and most frequently fined for non compliance is Handicapped Parking Spaces. Perma Stripe of Central Florida has listed all you need to know about the law covering Handicapped Parking in Florida. An approved Florida Department of Transportation (FDOT) sign is 12 inches wide by 18 inches high, des-ignated FTO-25 in accordance with FDOT Design Standards 17355 sheet 3. Design requirements for this reflective sign are: 1 inch Series “C” letters on blue background with white legend and border on top, and a bottom portion of white background with black opaque legend and border. FDOT standards require the blue outline to be a 6 inch wide blue stripe to be 2 inches inside of the standard 6 inch white stripe as shown in FDOT Design Standard 17346 sheet 10. This standard states “Use of pavement symbol in accessible parking spaces is optional, when used the symbol shall be 3 feet or 5 feet high and white in color.” Blue pavement markings shall be tinted to match shade 15180 of Federal Standard 595a. F.S. 316.1959 entitled “Handicapped parking enforcement” states: “The provisions of handicapped parking shall be enforced by state, county, and municipal authorities in their respective jurisdictions whether on public or private property in the same manner as is used to enforce other parking laws and ordinances by said agencies.” F.S. 316.008(4) provides for a fine up to $250.00 for drivers who illegally park in designated handicapped parking spaces. An “Application for Disabled Person Parking Permit” (Form HSMV 83039) may be obtained through the Florida Department of Highway Safety and Motor Vehicles, Division of Motor Vehicles, Neil Kirkman Building, 2900 Apalachee Parkway, Tallahassee, Florida 32399-0620, or at a local tag office. 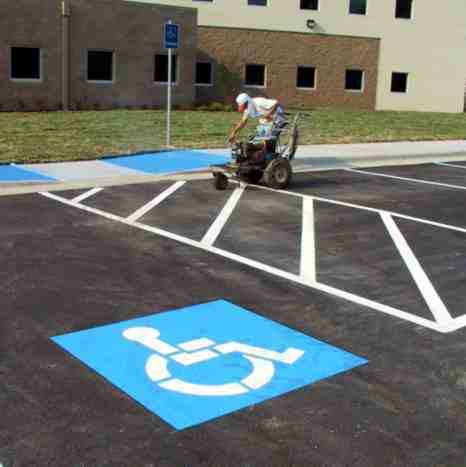 Handicap parking lot ramp installation is one of our specialties at PermaStripe. A wheelchair ramp may be the accessibility solution your building needs if you have physically impaired visitors coming to your location and you have space for handicap ramp installation. 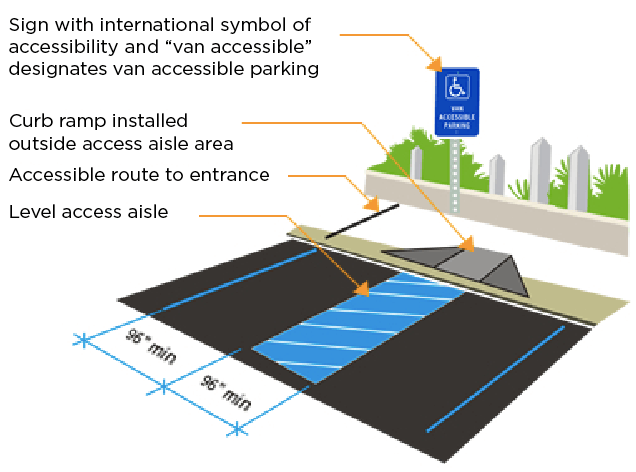 Handicap parking lot Ramp Instillation in parking facilities are excellent for people in wheelchairs, those using canes or crutches or for someone with trouble climbing stairs. When selecting the right wheelchair handicap ramp installation for your school, library, church or other building we will take into account the locations specific needs as well as the durability, maintenance, price and appearance of the structure. 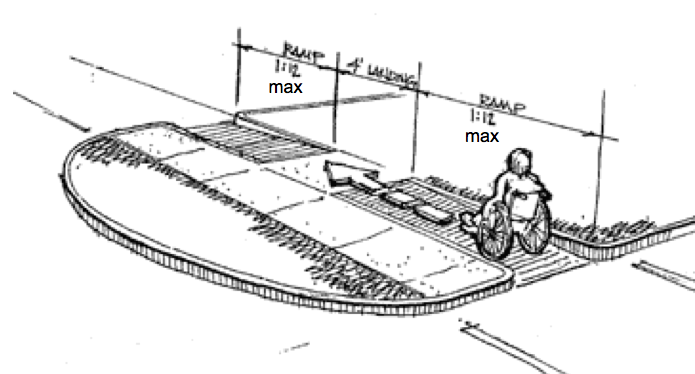 Our knowledgeable staff will determine the correct slope for the handicap ramp installation and make sure you have the necessary space. Perma Stripe of Florida, Inc. has been in business since 1984. Located in central Florida. We service the greater Orlando area and specialize in asphalt paving, seal coating, parking lot repair, striping, handicap ramp installation and striping and maintenance, including asphalt patching, paving, thermoplastic striping, paint striping, and traffic signs. We are the proven experts at Orlando asphalt paving, Orlando sealcoating and Orlando parking lot repairs and Orlando handicap parking lot ramp installation. 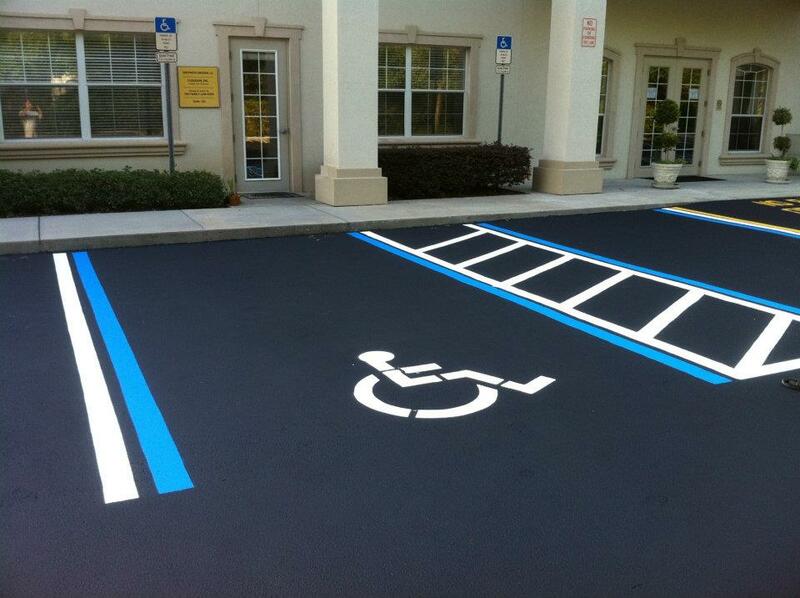 Please call us at 407.814.7400 for a FREE Inspection & Estimate and proper handicap ramp installation, parking lot handicap parking compliance inspection or any need involving parking design, repair, striping and signage.